Though far too many Americans are enamored with the socialism of Sen. Bernie Sanders and our European brethren, one of the things that has always contributed to the wild success of the United States is our free-market economic model. The system we have today is more like crony capitalism, which is based on close cooperation between industry, business and government officials. Nevertheless, elements of our capitalist founding remain and that’s good because capitalism and free markets breed competition, creativity and innovation. Which, in turn, breeds fantastic ideas, like the one proposed by Las Vegas firm Gleason Partners LLC, one of the dozens of companies who have submitted bids to the government to help build President Donald J. Trump’s promised wall along the U.S.-Mexico border. 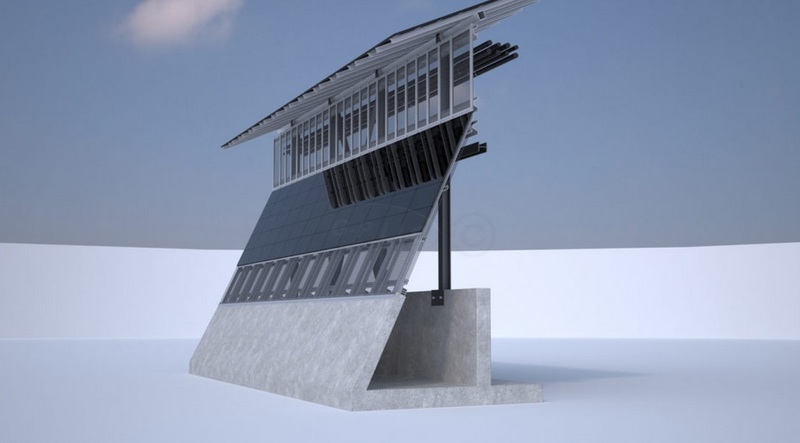 As reported by Lifezette, the panels would generate ample power to supply the needs of the Department of Homeland Security’s border operations, and even have plenty left over to sell on the open market. An artist’s rendering of the proposal depicts a “wall” of panels and concrete base. At present at least 200 firms have shown an interest in building the wall, which has become controversial both in the United States and in Mexico. The deadline for submitting bids was April 4. The Associated Press, quoting sources within government, noted that the Trump White House believes somewhere between four and 10 companies will be selected to build prototypes of the wall that will cost between $200,000 – $500,000 apiece. However, it is not at all clear that the wall will ever be built. As The National Sentinel reported, Democrats are threatening to shut down the government if Republicans include a $1 billion wall funding request by the Trump administration in a budget that would begin construction of the barrier, which would complete existing barriers that are currently in place in various regions along the border. After Democrats took over Congress in 2007, they defunded the legislation (with the help of a Republican senator, Kay Bailey Hutchison of Texas). Now, the issue seems to be money. “The big chunk of money for the wall, really is … next fiscal year’s appropriations, because they literally can’t start construction even this quickly,” House Speaker Paul Ryan, R-Wis., told “CBS This Morning” recently. We’ll see. We know that the Border Patrol isn’t happy with Ryan’s proposed delay. “It has a lot of potential,” he told Lifezette, adding that the solar panels would last for at least 25 years.